Bobinsana- From Arthritis to Lucid Dreaming! Constituents- Various alkaloids, amino acid, cyanogenic glycosides, flavonoids, tannins, saponins and sterols. Properties- Anti-rheumatic (to relieve or protect against rheumatism), anti-arthritic(To relieve arthritia), anti-inflammatory(Reduce inflammation), anti-cancerous(used to treat cancer), contraceptive(prevents pregnancy), stimulant(Stimulates the nervous system), depurative(To purify and detoxify), oneirogenic (Induces dreams during sleep) and diuretic(Increased urination). Uses-As a tea or tincture it is used for arthritis, rheumatism, minor pains, aches, fevers, uterine disorders and a general energy tonic. 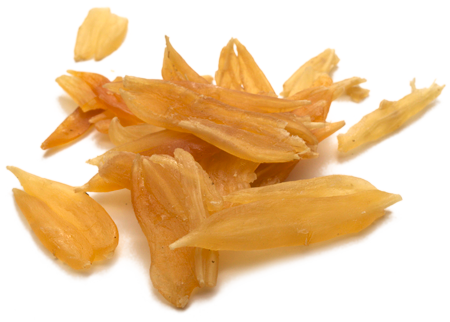 Bobinsana is also used for its potent dream inducing effects. It is a water loving plant that belongs to the Pea family (Leguminosae). It grows around 4-6 meters high and is usually found alongside, rivers, streams and bodies of water in the Amazon basin. It is found in regions of Ecuador, Columbia, Peru, Brazil and Bolivia. 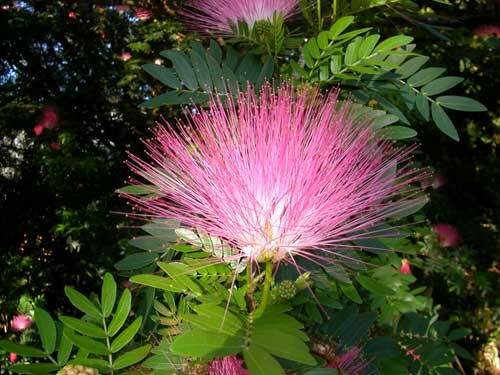 It produces an abundance of gorgeous pink to reddish powderpuff-like flowers. The tree also secretes a usable resinous gum. 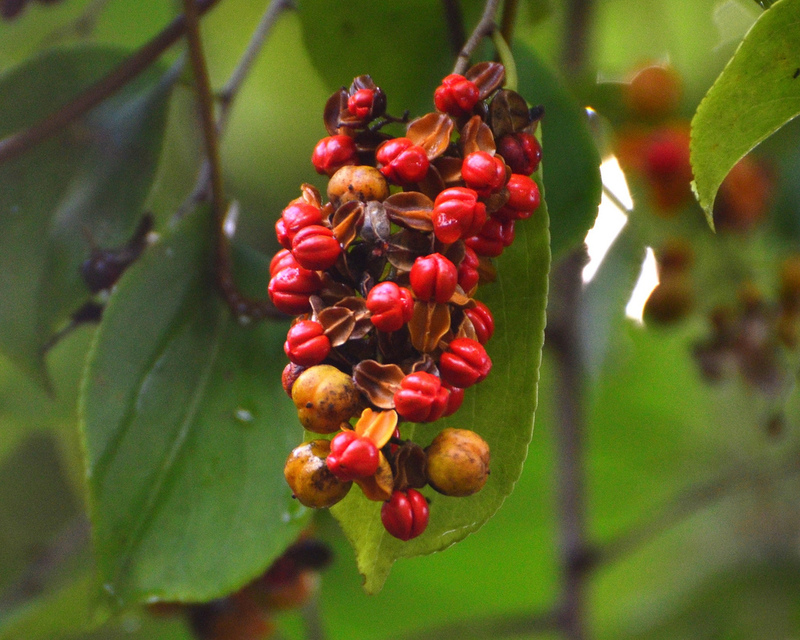 In the Amazon many indigenous peoples use bobinsana for its pain relieving, fever reducing and uterine tonic effects. Traditionally Bobinsana is taken by tincture in aguardiente or a strong tea. All parts of the plant are used for healing. Bobinsana is a well-known “plant teacher” sometimes used in conjunction with a psychedelic amazonian brew called “Ayahuasca”. While bobinsana alone is not hallucinogenic, it is considered a plant teacher and is sometimes added to ayahuasca recipes to help the shaman connect to and learn from the plants. It is also used to produce strong lucid dreaming. Among other benefits Bobinsana is said to open the heart and give space for it to heal from intense grief, loss and sadness. Cautions-It is traditionally used as a contraceptive in Peru. While there is no research to confirm this possible action, those seeking to get pregnant should probably avoid this plant. Should not be used during pregnancy or lactation. Otherwise there are no contraindications when used properly. Steep 2-3 teaspoons of herb in 2 cups of hot water for 5-7 minutes. Drink 1 half hour before bed for it dream enhancing qualities. Or you can make a strong tea for its healing benefits by boiling 3-6 teaspoons of herb on low heat in 2-3 cups of water for 10 minutes. Drink as needed. And please be sure to check out our other amazing products! 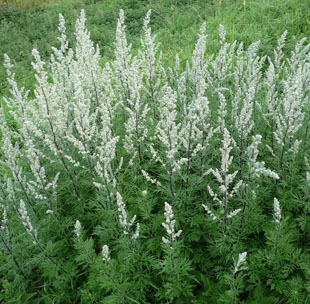 Mugwort- From Dream-work to Relaxation! Constituents- Bitter Principles, Essential oils and Thujone. Properties- Anti-spasmodic(Reduces spasms/shaking/twitching), Sedative(Makes you sleepy),Nervine(Relaxes the nerves) Emmenagogue(Stimulates Menstruation) and Bitter Tonic(Digestive Aid). Uses- Mugwort is an herb that is found fairly regularly in many modern Pagan magical practices. Mugwort is a highly versatile, easy to grow herb used as a tea, tincture, incense, for smudging, or in spellwork. As a tonic It can be used for women whom have irregular menses. It is also used as a bitter tonic for the stomach and liver. It also can be used in the treatment of parasites and worms. Mugwort otherwise known as Croanwort has a deeply mysterious quality to it. It feels very ancient in certain aspects and dreams can sometimes be dark. It allows us to face our shadow selves and learn from our experiences. The dark dreams show us things we are usually incapable of facing. It gives us the strength to go through the healing process. After these dark dreams are fully integrated the herb brings in a peaceful and serene vastly feminine energy into our dream-space, gifting us with lucid experiences and a unique chance to learn about out dream world. A great way to explore your third eye during the night! Caution: Should not be taken during pregnancy or lactation. Should not be taken for long periods of time. Some people have sensitivities to the Artemisia family. Otherwise when used properly there are no contraindications. Steep ½ tsp. of herb in 2 cups of hot water for 3-5 minutes. Add honey to taste. Drink tea 1 half hour before bed for its dream enhancing qualities. Constituents- Essential Oil, Terpenoids, Various Alkaloids, Amino Acids and Peptides. Properties- Onierogenic(Induces dream like states) , Anti-Inflammatory(Reduced inflammation) and Anti-Arthritic(Reduces arthritic conditions). Uses-Mainly used to induce vivid lucid dreams and as good luck charm. The seeds can also be made into a topical ointment for joint pain, ulcers, edema and muscular-skeletal problems. Entada Rheedii is so widespread that it grows on every continent adjacent to the Indian Ocean, and in almost every country with tropical-subtropical climates. 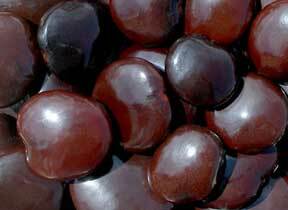 Due to the hardiness of the seed shell, they can float across vast lengths of ocean to many different countries. The species can be found in parts of Asia, India and Australia. Many different tribes have many different uses for this plant. Some tribes believe the seeds possess magical properties that imbue the user with good luck. Traditionally in certain parts of Africa the seed is used to induce vivid dreams, enabling the user communication with the spirit world. The inner meat removed from the hard outer shell is either consumed directly, or the meat is chopped, dried/roasted, mixed with other herbs like tobacco and smoked just before bed to induce vivid lucid dreams. Some areas of Africa it is used as a Coffee substitute when coffee beans are difficult to find or out of season. 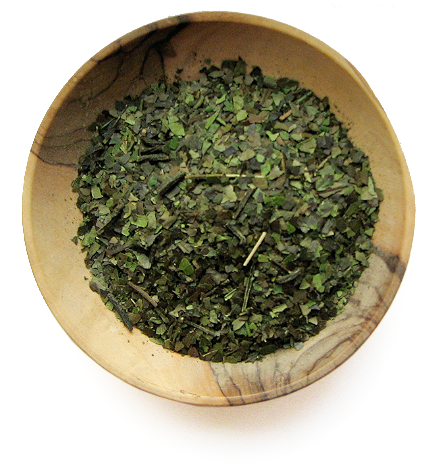 African Dream Herb has achieved a well-deserved reputation for being a potent dream herb. It is also used for jewelry, arts and crafts. To prepare the seed, first crush the outer shell and remove it from the inner meat. It can be eating raw or crushed, powdered and put into a herbal smoking mixture. Start by eating a very small piece(as a allergy test) 1 half hour before bed increasing the amount eaten every night for 4-7 days as Dream Tonic. Due to the rareness of this seed (In North America) it is more commonly used as a good luck charm. You can set it by your bedside or carry it in your pocket for good luck! Xhosa Dream Root- A powerful herb for Dreaming! Properties-Onierogenic (Dream Inducing), Analgesic (Pain Relieving), Noo-tropic(Enhances Mental Cognition) and Mildy Sedating (Induces Tiredness). Uses-Tea, Froth or Tincture as a dream inducing herb for enhanced dream recollection, out of body experiences, lucid dreaming, dream divination, healing ceremonies and initiations. Cautions-Should not be taken with MAOI drugs(Possible interactions are unknown). Should not be taken during pregnancy or while breastfeeding. Otherwise there are no contraindications if used properly. Silene Capensis, also known as undlela ziimhlophe by the Xhosa people of the Eastern Cape province of South Africa and has been used for thousands of years by African shamans. The plant is highly regarded as a sacred teacher plant and has been traditionally used with respect, intention and devotion. The root of the plant is used to induce very vivid prophetic lucid dreams, particularly during the initiation ceremonies of shamans and healers. In fact, Silene Capensis is one of many oneirogenic (Dream inducing) plants used by African shamans. They use a healing modality system called Ubuwalu(White ways/paths). 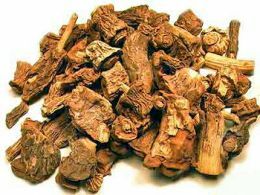 Ubuwalu herbs are used to enhance the dream state, improve dream recollection, thus creating a link to ancestral spirits and help develop a better sense of the dream world. Most Ubuwalu herbs are very potent and have negligible side-effects. This herb exerts only minimal physiological alterations in waking consciousness, yet the effects upon the dream state can be profound. Silene Capensis is one of the most active dream herbs! I have a strong tincture of Ethically Wild-Harvested Xhosa root available on my website. I’ve found the tincture of Silene Capensis to be one of the most potent dream inducing products out there. A very rare medicine and a great ally to anyone that loves to dream! Mexican Tarragon- Ceremony, Dream Recall and a Culinary Delight! Other common names- Mexican marigold, Pericón, Mexican mint marigold, Mexican tarragon, Spanish tarragon, Cempaxóchitl and Texas tarragon. Constituents- Essential oils, Coumarin, Isorhamnetin and Quercitin. Properties- Aromatic (Pleasant and distinctive smell), Oneirogenic (Induces dreaming), Aphrodisiac (Increases sexual desire), Anti-Viral (effective against viruses) and Stomachic (Promotes appetite and Digestion). Uses- It can be used as a tea, tincture, spice or incense. Cautions: Should not be used during pregnancy or lactation. Otherwise there are no known contraindications when used properly. Mexican Tarragon is a well-known herb in Mexico and Central America where it has been used for thousands of years! 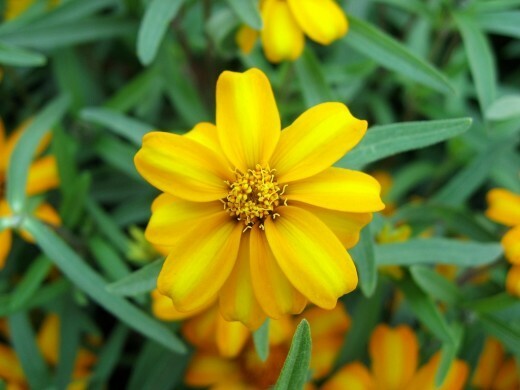 The Aztecs used Tagetes lucida in ritualistic ceremonies as incense known as Yauhtli. The plant is also used by the Huichol, combined with Nicotiana Rustica as a potentiation for other plant medicines. In Latin America the flower is one of the symbols representing the Day of the Dead (Dia de los Muertos) celebrated annually. For example they are used as (“offerings”) or ofrendas in order to decorate and appreciate the graves of deceased family members in honor of their deaths. The flowers are also gathered into bouquets and used in a practice called a limpia (cleansing), traditionally the flower bouquet is shaken over the person’s body during special ceremonies involving removing negative energy, healing traumatic experiences or soul retrieval. It is also used for numerous digestive issues like the stomach flu, diarrhea, upset stomach and nausea. As an incense its produces a very uplifting anise like aroma. The plant is also used for dying fabrics and as a spice for soups and meat dishes (Especially gamey meats like lamb, venison and goat). Mexican Tarragon is great herb to use for recalling your dreams more effectively. Being as it is a sacred plant both the tincture and the herb can be used for meditations, yogic practices and ceremony work of all kinds. The Flying Herb! Revered by Monks, Taoists and Herbalists for thousands of years! Constituents-Asparagine, Sugars, Mucilage, Polysaccharides and Minerals. Properties- Yin tonic (Promotes and Strengthens cooling and moistness in the body), Nutritive(provides nutrients), Demulcent(Moistening effect), Expectorant (clears mucus from the airways), Diuretic(Promotes urination) and Oneirogenic(induces dreams). Caution: Extremely safe and non-toxic it can be used daily. There are no contraindications or side effects when used properly. Uses- Treatment for dryness in the lungs, increases fertility, relieves menstrual pain, chronic rheumatic complaints, eczema and is used as a potent dream herb. Taoists claim that by consuming Wild Asparagus Root a person gains the ability to fly. This flying symbolizes the ability to rise above things that are mundane and is the freedom of Spirit that can be experienced when one has attained harmony. With prolonged use this herb makes the skin soft, supple and smooth. It gives buoyancy and lightness to the body. It allows one to stay open and helps cultivate deep spiritual happiness. It is said that with regular consumption of good wild asparagus root will open the heart center and bring one to a sense of peace and well being. It is a powerful but gentle tonic for the lungs and it helps to moisten dry lungs. Beautiful skin is a sure sign of pure blood and healthy lungs. It would be great for smokers, exposure to environmental toxins and for people with dry skin. It is also known for its dream enhancing effects. Many people report dreams in which they are flying or soaring through the sky and some people have increased lucid dream activity when using Wild Asparagus Root. You can eat 1-2 teaspoons(About 1-2 inches of root). It is soft, sweet and slightly bitter. You can also simmer 1-2 teaspoons of herb in 2 cups of water for 10-15 minutes as a tea 1 half hour before bed for its dream enhancing qualities. If you are interested in this rare Chinese herb please visit my website for more information. I carry some of the finest Wild Asparagus I have ever seen! Get it while it’s still available! Life everlasting~An herb that slows the ravages of aging! Other common names- Everlast, Helichrysum, Curry Plant, Imphepho, Kooigoed and Yellow Chaste Weed. Constituents- Sesquiterpenoids, Flavanoids, Diketones, Asarone and Essential Oils. Properties- Anti-Inflammatory (Reduces inflammation), Anti-Allergenic (Prevents allergies), Anti-Aging (Slows aging), Diuretic (Increased urination), Sedative (Relaxes the body and mind), Oneirogen (Increases dreaming) and mild Astringent (Causes the contraction of body tissues). Uses-Internally can be used as a tea, tincture, or essential oil for inflammatory conditions, minor digestive complaints, gall bladder disorders, water retention, rheumatism, cystitis and ulcers. Externally a tea or essential oil is used for its wound healing and anti-aging properties. Helichysum species are also known to effectively induce vivid dreams. Cautions: Should not be taken during pregnancy or lactation. Otherwise there are no contraindications when used properly. Bright and full of life, Helichrysum shines likes the sun! There are over 600 different species spread across the whole of the world. Relative of the sunflower in the Asteracea family this herb makes for an excellent addition to tea blends or alone for its various medicinal applications. 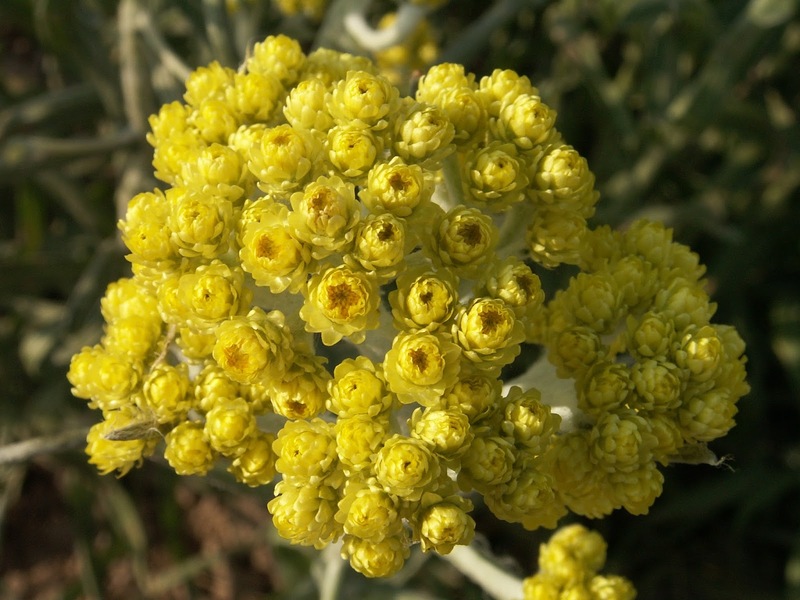 It is said that the Immortelle flower fights the ravaging of aging, making ones skin soft and supple. Since it has astringent qualities it can also be used for reducing the sagginess of skin. Its therapeutic constituents encourage new skin cell growth making it great for wrinkles, blemishes, acne, age spots, dermatitis, boils, psoriasis and many other skin conditions. It is also commonly used in treating coughs, colds and headaches. As far as its oneirogenic affect, it is often used as a visionary herb for lucid dreaming, either smoked in combination with tobacco, other herbal smoking mixtures or as a pleasant bedtime tea. Among other applications it is used as sweet scented relaxing meditative incense. Many use the incense for ceremonies, initiations and deep dream work. Steep 1-2 tsp of flowers in 2 cups water for 5-8 minutes. Drink tea as needed for desired purpose (You can also apply the tea on your skin for its regenerative effect.) Drink tea 1 half hour before for its dream inducing qualities. Celastrus- An Elixir Of Life! Constituents- Alkaloids (Celastrine and Paniculatin among others), Organic acids and Criojot. Properties- Bitter Tonic (Stimulates the appetite and improves digestion), Diaphoretic (Causes sweating), Febrifuge (Reduces fever), Nootropic(enhanced cognition,memory and facilitates learning), Oneirogen (Induces vivid dreams), Nervine (Relaxes the nerves) and Cardio-tonic (Strengthens and tones the heart). Uses-Used as a tea(cooked with milk) or eaten raw for its memory enhancing effects, as a digestive aid, as a cardiovascular tonic and a potent herb for recalling dreams. Cautions: Should not be taken during pregnancy or lactation. Should not be taken if you have heart problems or take heart medications. Do not take with pharmaceutical drugs unless you consult with your physician first. Otherwise there are no known contraindications when used properly. Celastrus is known as the Elixir of life. In Ayurvedic Medicine, the seeds are used to sharpen the memory and the seed oil is used as a tonic for memory loss. It has a powerful mind sharpening/memory enhancing effect and is used to promote longevity. It can be used comparatively to the new wave of chemical nootropics(a substance that enhances cognition and memory and facilitates learning) that have been hitting the internet market sold as smart drugs. Since many nootropics haven’t been studied for long periods of time, this herb can be a natural and safe way to discover what a nootropic can do for you (Especially since this seed has been used for thousands of years! )Great for studying or to keep focused for long periods of time. People with ADHD, Brain damage, Epilepsy, Memory problems and Alzheimer’s Disease may benefit greatly from this plant. Not only does it have potent memory enhancing effects during waking hours it also increases dream recollection significantly. A great way to fill your dream journal up in no time at all! Traditionally the seeds are eatin at 5 a day, If there are no noticable allergy symptoms, then move up slowly to 10 a day every fews days. Alternatively you can make a tea with the crushed or powered seed in milk. Should only be taken as a tonic for 5-7 days at a time. Eat or drink before night for remembering your dreams better! Constituents- Caffeine, Theobromine, L-Theanine, Glutamic acid and Amino acids. Uses- Can be used as a tea or tincture for its stimulating effects much like Tea or Coffee. It is also traditionally been known as a potent dream inducing herb. Cautions- Guayusa does contain Caffeine so should be avoided if sensitive to its effects. Should not be used during pregnancy or lactation. If you are taking pharmaceutical drugs please consult your physician before using. Otherwise there are no known contraindications when used properly. Guayusa pronounced “Wah-u-sah” is only of three Holly species known to contain caffeine, yerba mate(Ilex paraguariensis) being one of them and the other species is used in the making of a drink called “black drink”(Ilex Vomitoria). Guayusa is an excellent tasty and stimulating drink. Unlike other caffeinated drinks most people never experience the so called “Shakes” or “Jitters” associated with over caffeination. The indigenous people of Ecuador call it the “Watchmans plant” because it allows them to be sharp and focused during long hunting expeditions, long hours of work or travelling long distances. They also use it as a admixture plants in a sacred psychedelic brew called Ayahuasca. Interestingly enough though it contains high content of caffeine Guayusa is a well-known dream herb used to induce vivid prophetic dreams. Traditionally it is drunk in the early hours of the morning and the users go back to sleep before getting on with their day. This results in a wonderful lucid dreaming experience like no other. So if you need a boost in concentration or are just looking to explore your innate ability to lucid dream this herb is perfect for you! I make a 2:1 Concentrated Tincture of Ethically Wild-Harvested Guayusa leaves in %50 Organic Grape Alcohol and Colorado Mountain Spring Water. The finest ingredients make for the best products! Take 10-20 drops for its desired effect of Stimulation and energy, similar to using the tea form of Guayusa, alternatively you can take suggested amount 30 minutes before bed or wake up at 3-4 am and take 10-20 drops and fall back asleep for its dream inducing properties. Indian Sarsaparilla- An Ayurvedic herb for Digestion and Detoxification! Constituents- Essential oils,Triterpenes, Phytosterols, Tannins and Coumarin derivitives. Properties- Alterative (Cleanses the blood), Diuretic (Increases Urination), Anti-Inflammatory(Reduces Inflammation), Stomachic(Improves digestion) and Tonic (Energizes and Strengthens). Uses- Internally as a tea or tincture or syrup it is used much like sarsaparilla(Smilax spp.) as a blood purifier. It can be used to treat eczema, chronic rheumatic complaints and certain STD’s. It is also known to be a potent dream inducing plant. Cautions- Should not be taken during pregnancy or lactation. If you take pharmaceutical drugs or have a medical condition please consult your physician before use. Otherwise there are no contraindications when used properly. 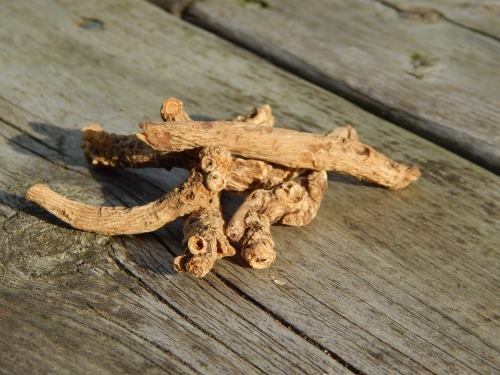 Indian Sarsparilla is a unique root with deep history in the Ayurvedic tradition cultivated in East India for its flavor and medicinal properties. From digestive complaints to sore muscles Indian Sarsaparilla can really be of benefit. It tastes of vanilla with a hint of marshmallow so if you like making tea blends this herb will surely make your taste buds happy! This root may also serve as an overall detoxifying and anti-inflammatory remedy. Among other uses the root has been known to help treat venereal diseases, hepatitis, jaundice, edema and arthritic conditions. Not only does it aid medicinally it also opens up the doorways to our dreams allowing us to explore in ways we’ve never imagined. An ancient feeling overcomes ones senses when using this fragrant herb especially for deep dream work. A rare medicinal for your herbal collection! Make a tea with 1-3 tsp of crushed or powdered root simmered in 2 cups of water for 5-7 mins. Goes well with Milk and Honey! And don’t forget to check out our other amazing products! !